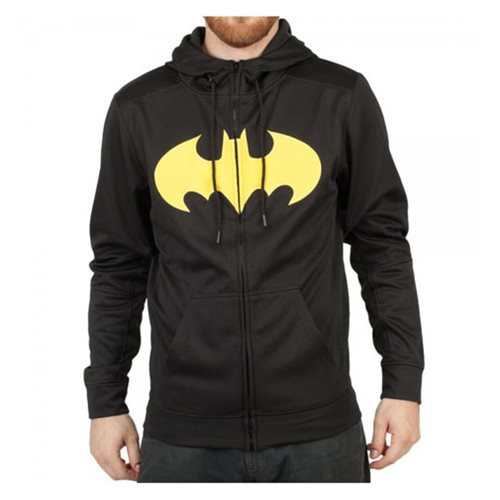 Dress with style with this Batman Logo Zip Up Hoodie! Comfy and casual, this zip up hoodie features the Bat's iconic logo in yellow and convenient front pockets! Grab one today before they're gone! Ages 13 and up.